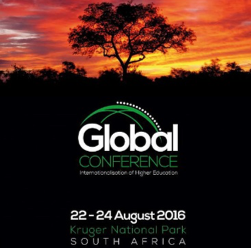 The Global Conference on Internationalization of Higher Education is scheduled for August 22-24, 2016, at Kruger National Park, South Africa. Call for papers and registration for the conference are open. More information is available on the Global Conference website.